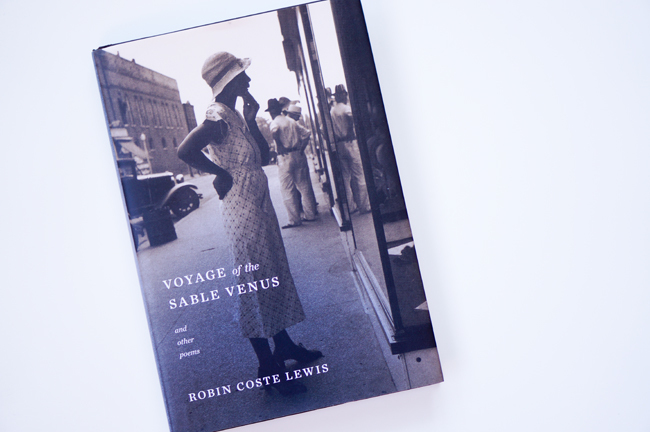 Robin Coste Lewis's wonderful volume Voyage of the Sable Venus (2015) won the National Book Award for Poetry. The award will assist in bringing Lewis's work to a wider audience, which is good given the importance of what she's produced. Notably, 13 books by African American poets have been finalists for the award since 2009. Carl Phillips has been a finalist for the poetry award four times: in 1998, 2004, 2009, and 2011. Hayes was a finalist this year as well as a finalist and eventual winner in 2010. 2011: Nikky Finney for Head Off & Split Poems. 2010: Terrance Hayes for Lighthead. Unlike with the other winners, this book is Lewis's debut volume. What a way to kick off a career, with a National Book Award. The nature of her book, especially the catalog-like poem at the center of her volume, is also unique. Of course, Lewis extends a long tradition in black poetry and African American literary art in general by actively engaging history and representations of black people. • The extraordinary ambition of Robin Coste Lewis's "Voyage of the Sable Venus"